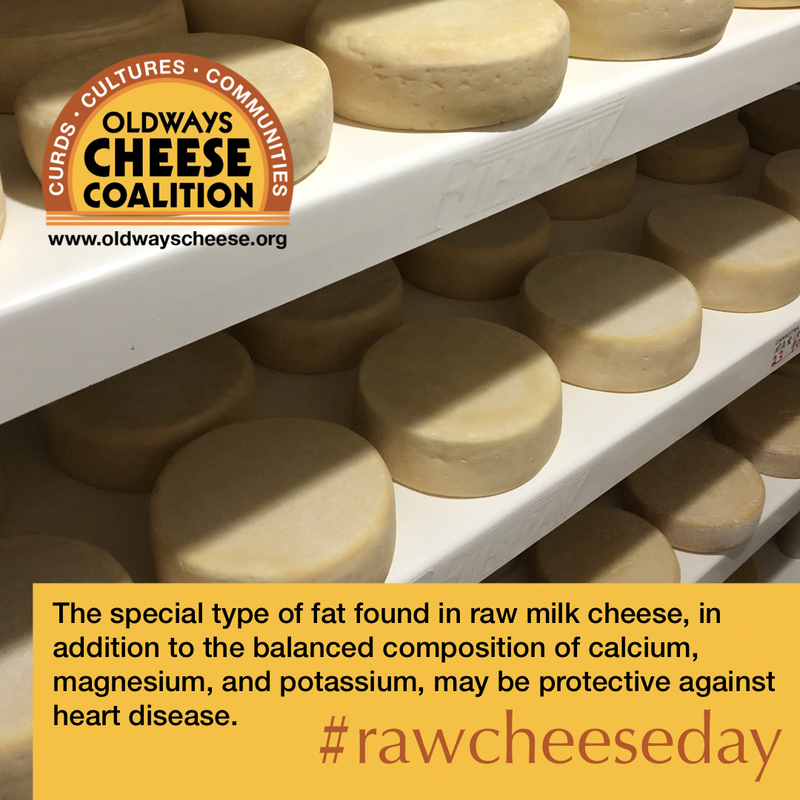 Tomorrow Saturday, 21 April 2018 is International Raw Milk Cheese Appreciation Day. Raw milk cheeses are unique in flavor, history, and carry on traditional cheesemaking practices. Producers who make them are passionate about craftsmanship and animal husbandry. Their cheeses represent years, even decades, of knowledge and thoughtful innovation to better their products. By joining in celebration you recognize cheeses made with raw milk, as part of our collective culinary heritage. So how can you join these celebrations? Visit one of our retailers for their special display and promotion of raw milk cheese. For example: Boccaccio Supa IGA Balwyn/Melbourne VIC has special tastings tomorrow from 10am to 1pm. Little Cheese Shop in Bayswater/Perth, Western Australia is featuring our uniquely crafted raw milk cheeses throughout the day. Purchase raw milk cheese from your favourite deli and celebrate the day by eating it (remember, that all Gruyère AOP from Switzerland, all Swiss Emmental AOP and all Tête de Moine are raw milk wherever you buy them. For other cheeses see our product details or ask your cheesemonger). Looking for unique, hard to find raw milk cheese? Then you’re best to visit our own online shop. We’re even giving you 20% off these cheeses until next Thursday*. For example try the new Cinderella cheese that is made with blackened Cyprus sea salt, made with unpasteurised raw milk of course. Happy Raw Milk Cheese Day everyone! *Promotion is valid for all individual raw milk cheese excluding packs and combos as well as Sélection Rolf Beeler cheese. Valid until midnight Thursday, 26 April 2018 AEST or until sold out. Alpage cheese is made only in the summer months when the cows graze high up in the alpine pastures. Discover our newly arrived 2016 Gruyère AOP Alpage straight from the Swiss mountains. 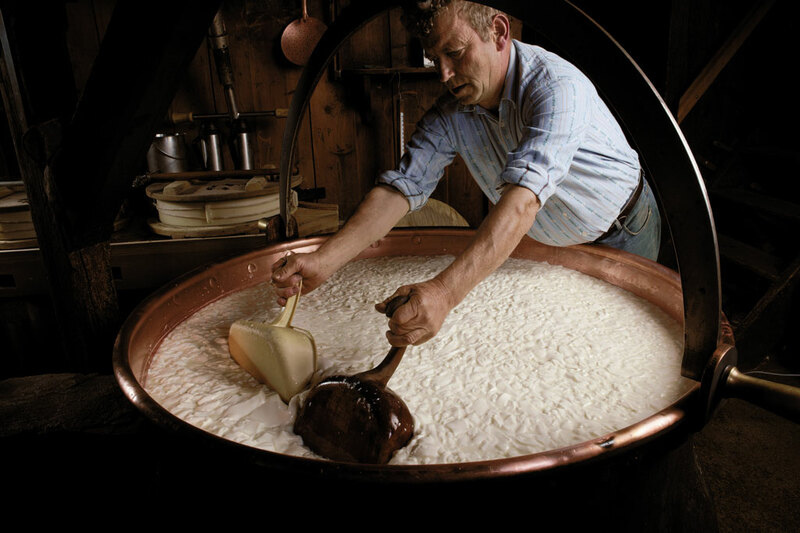 The Gruyère AOP Alpage is produced in two different areas within the Gruyère region in Switzerland. One in is situated in the Fribourg alps and the other in the Jura mountains. Both productions are unique in the case that they produce high up in the alps where cows can only graze during the summer months. This high altitude grass is lush and bursting with a great variety of herbs and flowers leading to superior milk. Once the approximately 30kg wheels are made, they are then carefully cared for during the entire maturation. The Gruyère AOP Alpage is definitely a true delight on any cheese board. Discover our 12-months matured, Gruyère AOP Alpage at a retailer near you now. (Note: not all listed retailers may carry this item. Any retailer can purchase it through our distributor, Cheese Culture though). It’s already our fourth year participating at the picturesque French Festival ‘Paris to Provence’ in the Como House & Garden in South Yarra, Melbourne. This year the 3-day event takes place from Friday, 24 to Sunday 26 November 2017. New this year is that the festival added an interesting side-element called ‘Coco at Como: Mademoiselle’s Life Story’. Aside from this, the festival will be host again to countless market stalls with the most beautiful, French influenced products. Find anything from French Sweets and pastries to – well cheese of course – to non-food items such as jewellery, French Tourism ideas and much more. Also you will find work shops, a kids garden, a Cannes film fest zone and many other things sure to please everyone. The Red Cow will be offering a range of our artisan Swiss cheeses including our raw milk Sélection Beeler Vacherin Fribourgeois and Willi Schmid’s Jersey Blue along with many others we will surprise you on the day.Plus, this year we will also have a limited stock of Walma’s wonderful Swiss Landjäger (a traditional, semidried Swiss style sausage). Tickets are available through the festival’s website or on the day at the entrance. Would you like a little help during your French Festival shopping? Then download our $5 voucher redeemable during the 2017 French Festival in South Yarra. Simply go through the check-out process and print out the voucher you receive in your email. Voilà $5 are yours. See you in South Yarra! Happy Gruyère AOP Alpage shopping and happy French Festival! Owner of The Red Cow. The Stores Westend: Tasting 11 to 2pm of various Swiss raw milk cheese including the Milchzapfen, shaped on a Girolle. Meet our own Tom Merkli there and have a chat to him about why #rawmilkcheese taste better. Have you ever wondered exactly why raw milk cheese is so important? Have you ever asked yourself why so many of the world’s most famous cheeses (Comté, Swiss Gruyère, Parmigiano-Reggiano, to name a few) are legally required to be made from raw milk? Raw Milk Cheese Appreciation Day is your chance to find out what makes these cheeses truly extraordinary. 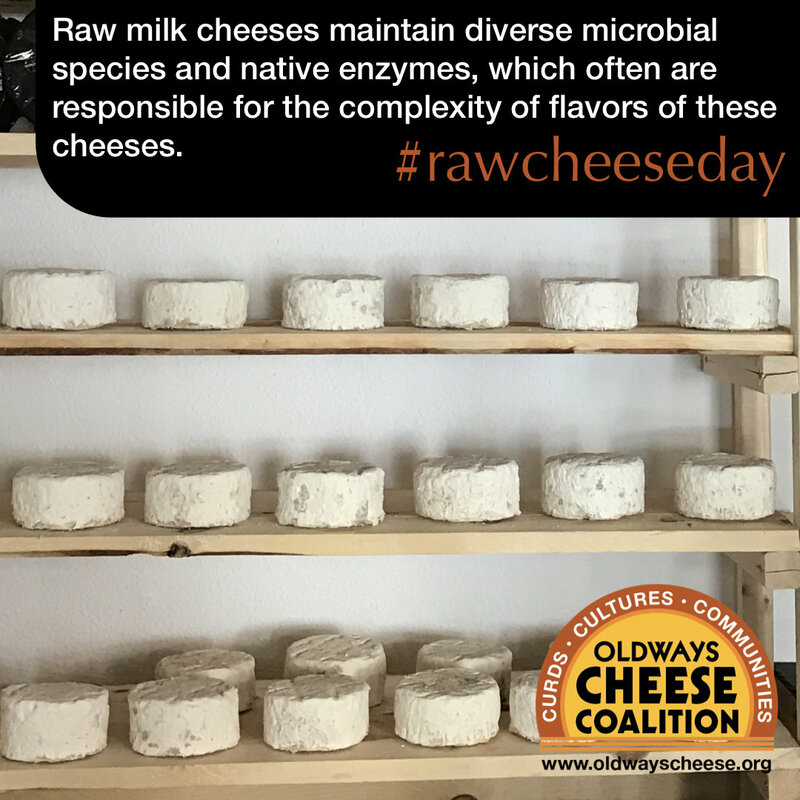 The Oldways Cheese Coalition and the Guilde Internationale des Fromagers are teaming up on Saturday, April 16, 2016, for a worldwide celebration of raw-milk cheese. 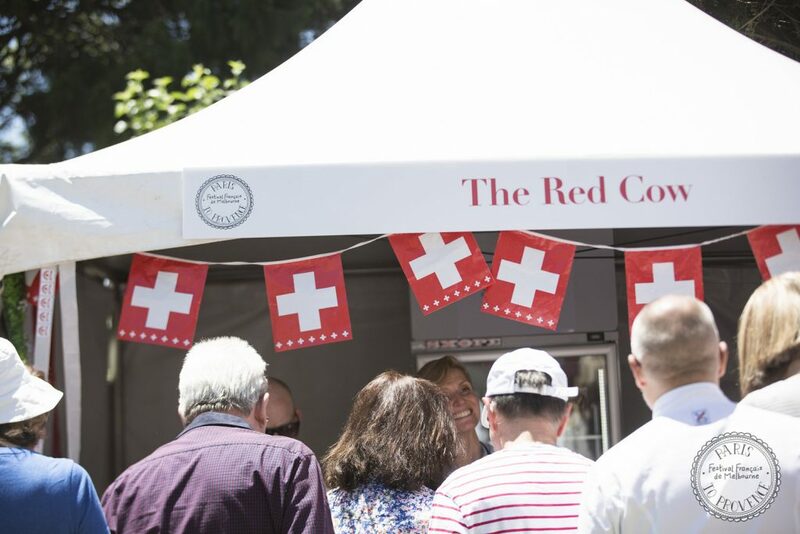 The Red Cow is certainly part of this day as we’re Australia’s premier importer of artisan raw milk cheese. Our Sélection Rolf Beeler range including top sellers like the Gruyeère, Toggenburger or Vacherin Fribourgeois are all made from untreated milk so are other cheese we import such as the Milchzapfen, Tête de Moine or Bachtelstein. So treat yourself with one of these fabulous cheeses from your favourite retailer or from our hand crafted Alpine Express Cheese Box and celebrate the day with us! Are you a retailer who would like to use our announcement banner? Then find it here. If you require any other formats or visuals, please contact us.